Jerry Ferrara is an American actor best known for his work as "Turtle" aka Sal on the HBO comedy series Entourage. Born in Brooklyn, New York, Ferrara attended New Utrecht High School. Ferrara is of Italian descent. Jerry Ferrara began studying theater in college, where he was inspired by a teacher to pursue a career in acting. An agent he met at a talent showcase encouraged him to move to Los Angeles, where he quickly landed his first role on King Of Queens. Other television parts soon followed. Jerry was then cast in the independent feature Cross Bronx which premiered at the 2004 Tribeca Film Festival. Jerry attended New Utrecht High School. In an interview about his breakout role on the show, Ferrara revealed that when he told his friends he had landed a major part in a television pilot, they asked, "What's a pilot?" Kevin Connolly has said of his Entourage co-star that "Jerry's very domesticated. He's probably the most different from his character. He's like 180 degrees in the opposite direction." Ferrara once made an appearance in character as Turtle for a DirecTV commercial. His dialogue was mixed with a clip from an Entourage episode for humorous effect. Ferrara is also co-founder of Fat Sal's deli in Westwood, CA. In 2009-2010 Ferrara dropped weight in a new outlook on health and fitness. Ferrara is said to have lost weight by trading, "burgers and fries for tofu, fresh organic fruit and vegetables." 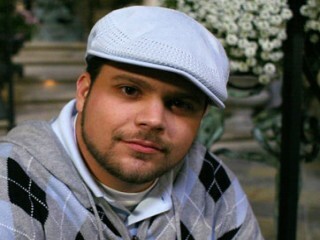 View the full website biography of Jerry Ferrara.